I forgot my Gmail password, and cannot log in Google account. Is there any way to recover or reset the Gmail password? I deleted my Google account. But I keep the phone number of the old Google account. Are there any recovery solutions to help me to get back the Gmail account? Google is the one of the greatest inventions throughout the world. You can search the information that you want to know with Google. 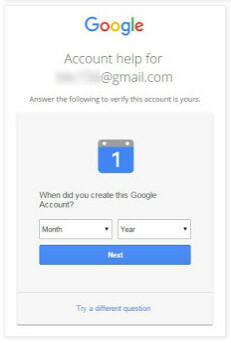 Also, Google facilitates its users by creating the Google account with a single username and password to access Gmail, Chrome, YouTube, Google Maps, etc. However, the accidental password-forgot or account deletion will lead to the regret of yours. 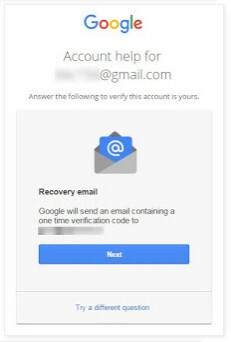 In this page, we will discuss the solutions about Gmail(Google) recovery, Gmail account recovery and password recovery. 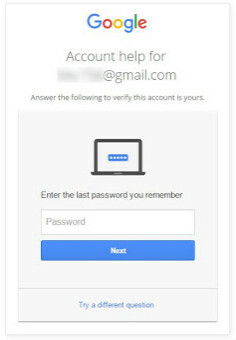 Step 1 Sign in Gmail account with your Google username and password. Step 2 Under “Sign-in & security”, click “Signing in to Google”. Step 3 Select “Password”, and you will need to input your password again. 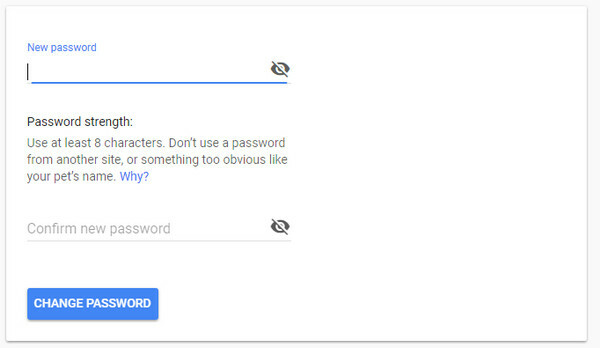 Step 4 In the pop-up interface, you could type your new password for Google account. And click “CHNAGE PASSWORD” to make the changes. If you forgot Gmail password, but you remember the Gmail address or phone number, then you are able to reset the Gmail password. 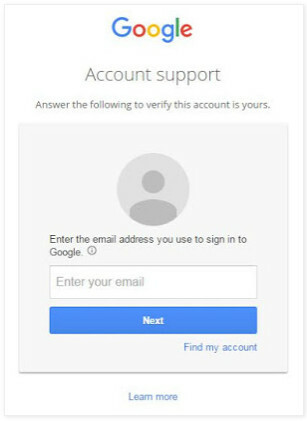 Step 1 Go to the Google account support page. 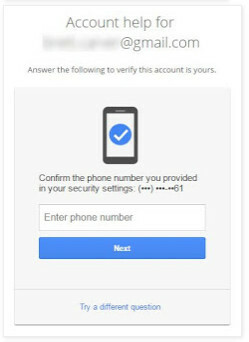 Step 2 Follow on the instructions prompted to input your Gmail email address or security phone number to confirm the operations. No matter which way you select to reset Gmail password, you will be also required to type your first name and last name. 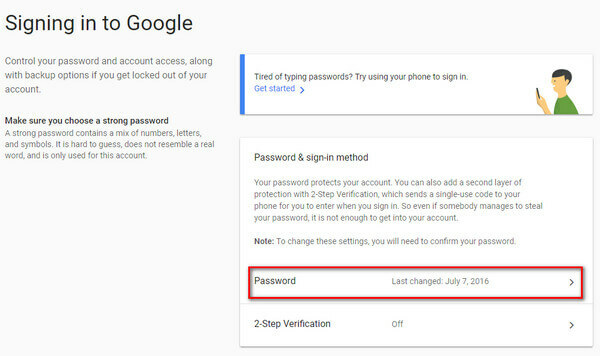 Step 3 After that, you could start to create a new password for your Google account. 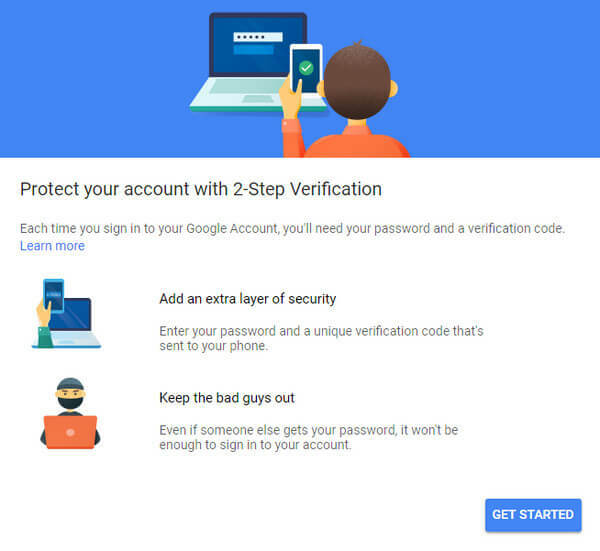 If you enable 2-step verification on Google, then here you will take more efforts to get the Gmail password recovery. 1. Enter the last password you remember. 2. 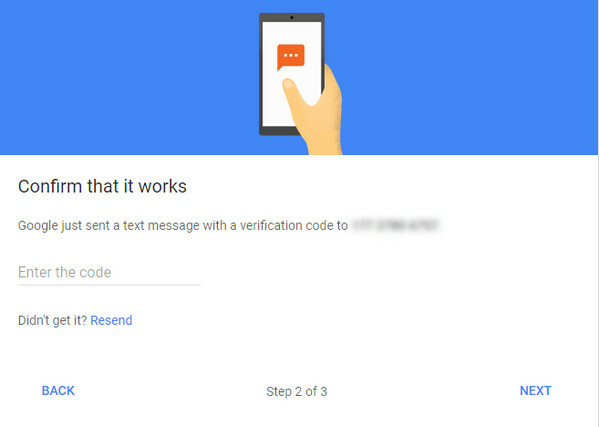 Get a verification code by text or phone call at phone number (it doesn’t always offer both options). 3. Confirm the phone number you provided in our security settings. 4. 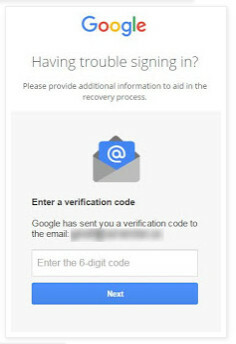 Google will send an e-mail containing a one-time verification code to the recovery e-mail. 5. Get a prompt on your phone and tap Yes to sign in. 6. Answer the security question you added to your account. 7. When did you create this Google account? 8. If you can, briefly tell us why you can’t access your account. The majority of the options are based on pre-configured information setup in the account prior to losing access. So if an option was never configured that option will not be offered. To some extent, if you set as much information as you can before, then you will get a big chance to recover your Gmail password. But you must make sure you did remember all the pre-configured information correctly. If you are in one of the following situations about your Gmail account, then you come to the right place to recover your Gmail account here. 1. If you are told “Sorry, Google doesn’t recognize that email”. 2. If you do not remember the account name. 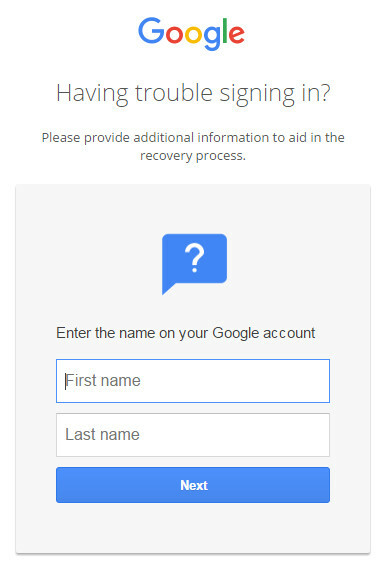 Step 1 Go to Google sign in recovery page. Step 2 In the pop-up interface, you can click “Find my account”. 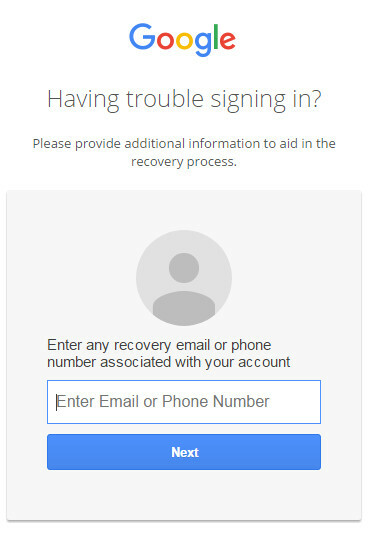 Step 3 You are directed to enter any recovery email or phone number associated with your account. Here we will input the email as the example. Step 4 Input the real first name and last name on the account. 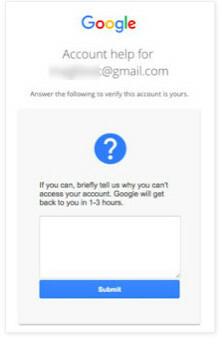 Step 5 After your input name match your account information, Google will remind you that you will get an email containing a one-time verification code. 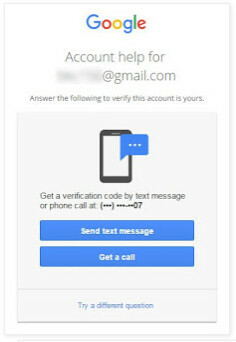 What you need to do is to enter the verification code to the email. After that, you will receive a list of accounts that match that information and you can proceed to sign in, and you will know both the e-mail/phone and the name on the account. Google app accounts that not end in @gmail cannot be recovered using the standard Gmail recovery procedures. 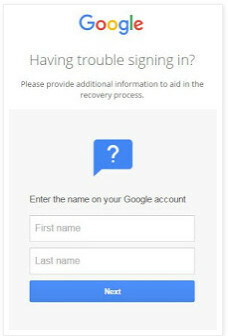 You have to contact Google Apps administrator for the domain that can reset the password allowing you to regain access. 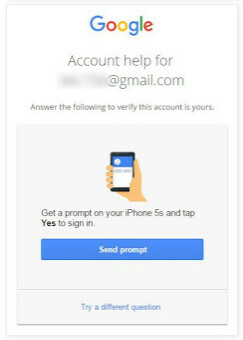 Step 1 Go to https://myaccount.google.com/signinoptions/two-step-verification/enroll-welcome > “GET STARTED” to start the process. Step 2 You are required to input your Gmail password to confirm the next operations. 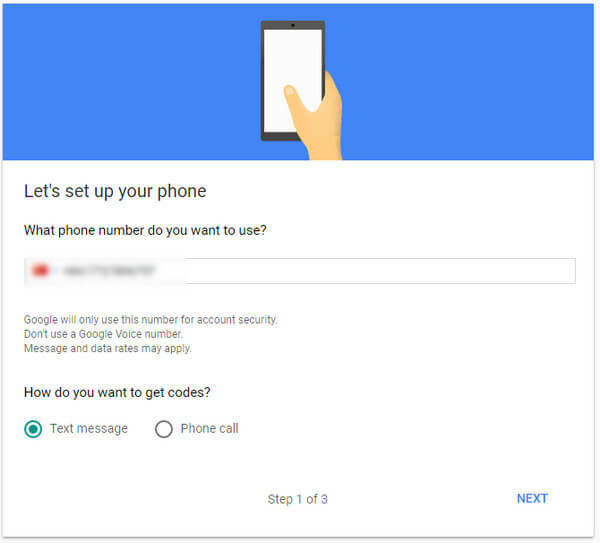 Input your phone number and select to get codes via “Text message” or “Phone call” > “Next” to proceed the steps. Step 3 Your phone will receive the code via text message or call (based on the option you made just now). Input the verification code and click “NEXT”. Step 4 The pop-up window will remind you that if you are sure to turn on 2-step verification. Here just click “TURN ON”. Step 5 After that, you have completed your first step. 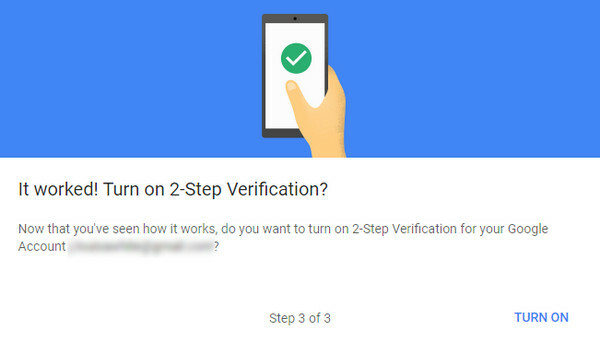 And you will find the second step to get a Google prompt on your phone and just tap Yes to sign in instead of the verification code. 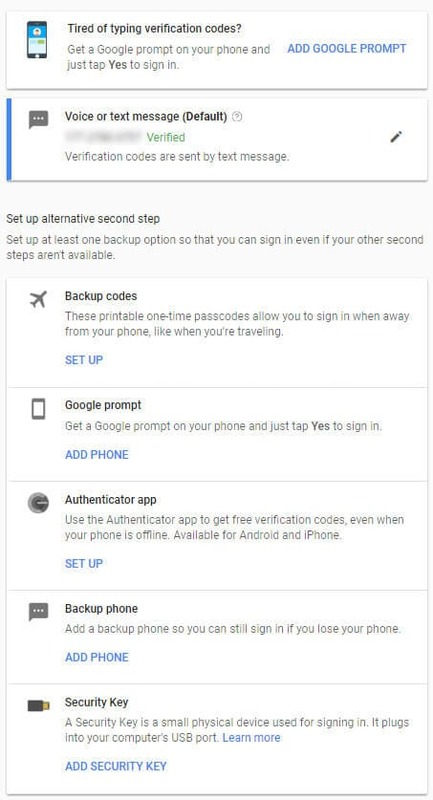 Also, you can find other alternative second step set-ups (Backup codes, Google prompt, Authentication app, Backup phone and Security key). Take the one that you want to set up as you like. Browser that you always use to log in Google account. Physical location where you always accessed the Gmail account like home, office, etc. IP Address that you always use to sign in Google account. 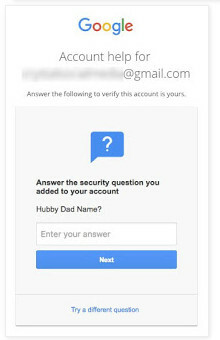 From the above description, you may notice that Gmail account is very important, and all the recovery solutions are based on the real information you enroll when you create the account. 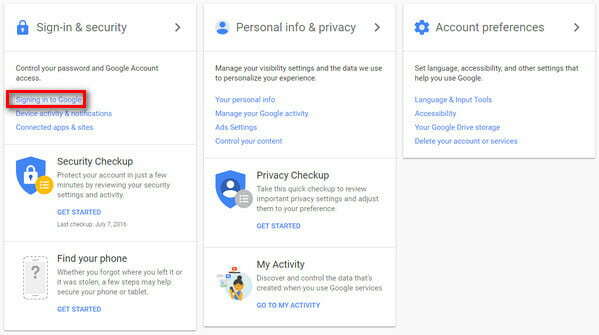 So you should take care of your Google account information no matter you create or delete Gmail account.